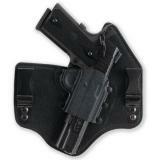 Inside-the-pant holsters, otherwise known as inside-the-waistband or IWB holsters, provide maximum concealability for covert carry. 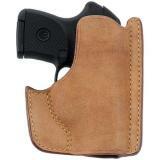 They are typically used to carry compact or subcompact pistols and revolvers. 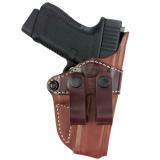 Because only the grip is left protruding above the waistband, they are easy to conceal under a shirt or jacket. 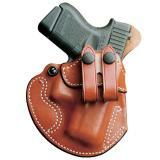 Many holsters are tuckable, meaning that you can tuck a shirt in while wearing it for a professional appearance. 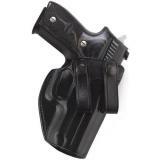 At CopsPlus, we carry holsters from some of the world's most trusted manufacturers including Galco, Safariland, 511 Tactical, DeSantis and Uncle Mike's. 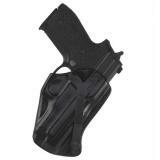 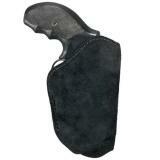 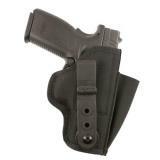 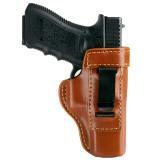 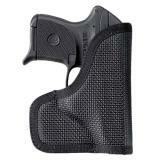 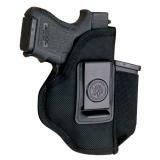 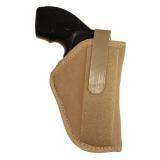 IWB holsters provide easily accessible waist-level carry without the increased bulk of a paddle. 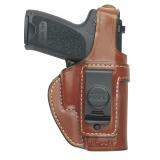 Depending on the holster model, they can be carried in various positions around the body to suit your individual preferences. 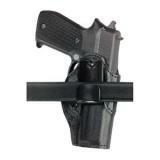 It attaches to the belt using secure loops or hooks to prevent it from sliding as you move or being drawn along with your firearm. 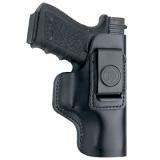 Typically, IWB holsters are open-topped to allow rapid access when you need to go from covert carry to overt action, with weapon retention coming from friction alone. 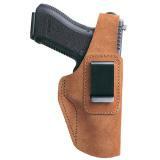 Often, holsters include adjustable detent screws to set a custom fit, especially with leather models that may stretch slightly with use. 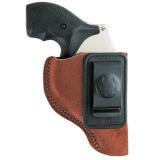 However, in order to increase user safety, some holsters feature additional security measures such as straps and thumb breaks or more advanced retention options like Safariland's Grip Lock System. 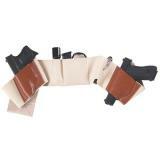 Traditionally, inside-the-pant holsters have been made from leather, often with the rough side on the outside for extra friction against the pants. 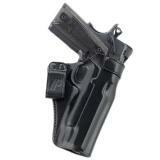 However, molded Kydex and and other polymers are also popular. 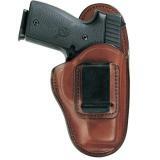 Our selection of inside-the-pant holsters includes designs at a range of price points, from simple, affordable designs to premium holsters featuring advanced technology, from manufacturers such as DeSantis, Bianchi and Galco. 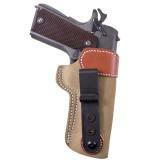 This video compares and explains the differences between belt holsters, paddle holsters and inside the pants holsters. 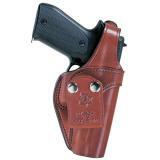 This is a must watch for anyone trying to decide which holster is right for them.